The refreshed look of ‘Gmail for Android’ will be similar to the web version. Google says that the final version may be rolled out with some more features. Google has been working hard to introduce a symmetrical design across its services. The tech giant has been preparing people to switch over to Material Design for ‘Gmail for Web’ for almost a month now. 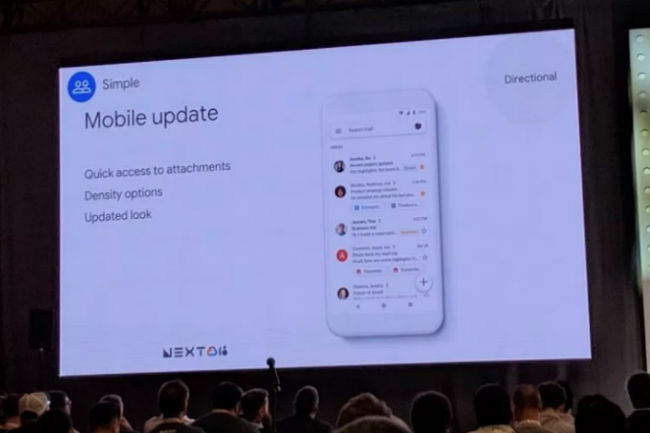 At its Google Cloud Next conference in San Francisco, the company showcased the Material Design theme for ‘Gmail for Android’. The ‘white’ design will match the web revamp and it will get desktop features like density options and quick attachments in the inbox view. According to the Gmail team, the mobile update is ‘smaller’ in scale. A lot has reportedly changed in the design. Firsst off, the Gmail’s thick red accents are gone and there is a search bar on the top, which features the navigation drawer to the left and a profile avatar at the right. At the bottom-right is a new multi-colored Floating Action Button (FAB), similar to the one which can be seen on the web version. The company said that the designs showcased at the event are work in progress and when the final version is rolled out to the users, it may have more features. The new inbox view also lists images, files, and other attachments for quick access. Once the update is rolled out, the new ‘Gmail for Android’ will help users add density options and decide how much information is to be displayed on the screen. The development comes a two days after a video surfaced on Vimeo detailed some of the new design elements that can be seen on the new Gmail, Chrome and Google Map refreshes. The video was made by designers Adam Grabowski and Niccolo Bianchino and shows a lot of things very briefly, including changes in the font and icons as well as how colours are going to be implemented. 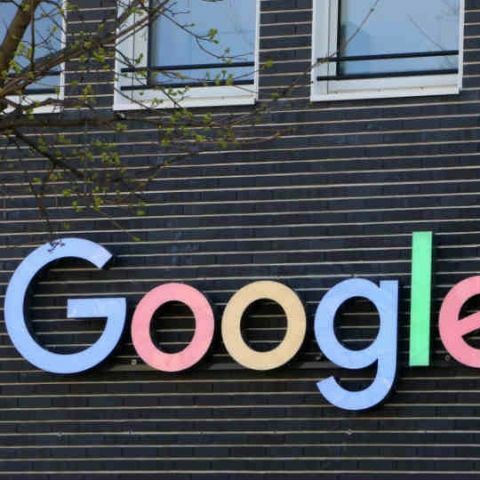 Google Drive, Maps and ‘Gmail for Web’ have already got the new material designs and the company will be rolling out the refreshed look to its other services in a phased manner.